PROJECT BE MOVED is a platform of educational programs, leadership training, networking, and life experiences encouraging awareness and movement of human brilliance and inspiration for a better world. We provide unique opportunities for individuals who aspire to live well, work hard, and make a positive difference all ways. We are teachers and visionaries who care about moving human beings. We ourselves are inspired by the vastness of life, the massive need for positive social impact, and the miracles that occur when people are energized, inspired, and moved. Our workshops, seminars, training clinics, retreats, adventure travel, sport, and expert resources energize brilliance, purpose, and pursuit. Each of our programs begins with the question, “what moves you?” We believe the answer reveals aspects of brilliance and energizes potential for greater happiness, motivation, incentive, performance, fulfillment, and success. We are committed to the exploration of what moves people, and how movement positively effects many important aspects of life. Are you aware of what moves you or how you move through life? Are you ready to move with us? Movement awakens the body, opens the mind, and connects the spirit to heighten the experience of life. Human brilliance and a strengthened heart are powerful resources that create opportunities for positive growth and change. Strength of character and deep conviction are the underpinnings of empowerment, confidence, success. Deep fulfillment lies in the connection between self-respect, integrity, sustained momentum, success. Our programs consist of workshops, classes, multi-day retreats, epic travel adventures, and private consulting sessions to plan, develop, and support your quest. We work with athletes, artists, scientists, philosophers, explorers, humanitarians, and many more. We know that positive generates positive, and energy builds energy. Move by move. XSM Coaching / 9 to Podium / GAME F.A.C.E. 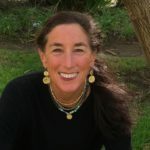 Barbara Edelston Peterson has had an illustrious four-decade long career as a world class endurance athlete, an author, sports psychologist, motivational speaker, designer, humanitarian champion, and mother. PROJECT BE MOVED has served as a framework for her life work since 2014. Barbara is the Founder of Project Be Moved, The Brilliance Group, Whole Champion Foundation, Foreste + Hils Designworks, Epic Global Adventure Travel (EGA), XSM Coaching, 9 to Podium + GAME F.A.C.E. (pre-patent customized performance tools), and A.I.R. – Acute Injury Recovery Therapy. Her newest book titles The Power of Kvel and Becoming a Whole Champion will be released December 2017. She authored the second edition of Bed Rest Wellness in 2013 and founded A.I.R. to help others mange immobility and acute injury issues – related to her own medical experiences with immobility and bed rest. The book and her work as a recovery therapist help thousands of people better manage injuries, complicated pregnancies, and other medical conditions.